A gift that says "You are special," this Luxury rose bouquet is a delivery anyone who would be happy to receive. 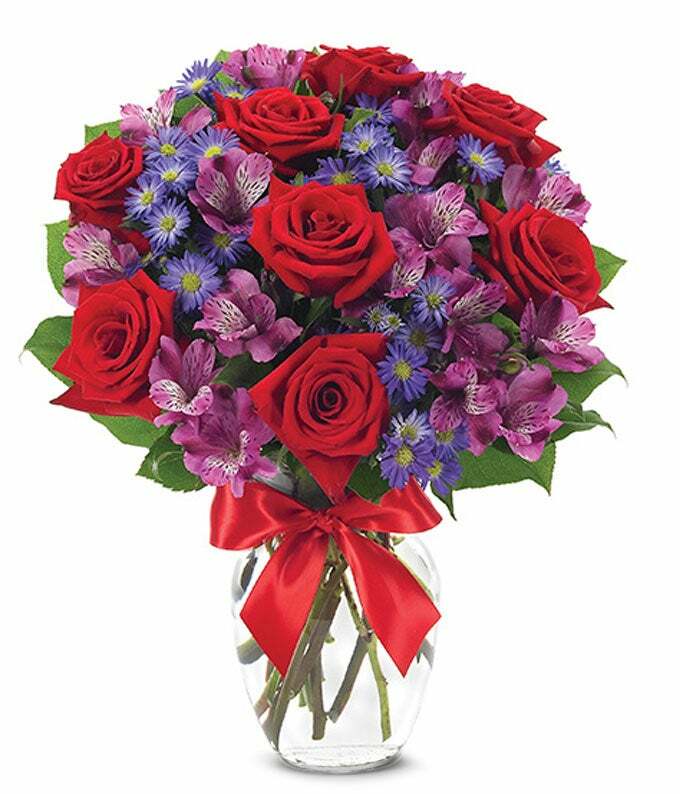 This floral masterpiece of gorgeous roses is accented by purple alstromeria and monte casino. Measures 16"H by 12"L.